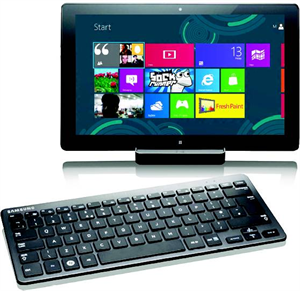 Last month, Microsoft handed a tablet that was loaded with a preview version of Windows 8. And after a few weeks spent with the OS, I can't help but be impressed .Let me explain: Apple with its iPad and IOS introduced a paradigm shift in mobile computing-and since then, almost all other slate manufacturers have been playing catch-up. With Windows 8, Microsoft is reimagining the game. The Redmond gaint's new OS promises to convert tablets from mere consumption devices into full-fledged mobile computing systems that could possibly replace your desktop or notebook. Anybody who has ever used a computer after 1995 has definitely worked on at least two to three different versions of Windows. And while Microsoft has made changes to its flagship product every now and then, almost everyone will admit to being accustomed to the operating system. It's precisely this reason why most PC users will hit the ground running with a Windows 8 tablet. Tap the Desktop tile on its Start Screen and you're greeted by the familiar users interface. Apple's iOS and Android are intuitive OSes, but Windows 8 seems familiar straight out of the box. There's no huge learning curve and you don't have to fiddle around to discover the operating system. That said, Windows 8 is slightly different from its predecessors. Its Start button has been replaced by the Start Screen. But if you're coming from Windows 7, it takes only a couple of hours to get used to it; perhaps a day if you've been on Windows XP or Vista. Even better, I could install all the programs that I've always used: Full-fledged Adobe Photoshop, the indispensable Microsoft Office, Winamp, WinZip, etc. They work just as well on the Windows 8 tablet as they do on my desktop computer. The only things that has changed drastically is the hardware, and for the better at that. Instead of a mouse, I now use my finger. And that's not even the slightest problem; there are no wrong taps, and I even got to the right-click context menu by keeping my finger pressed for a few seconds. Windows 8 will detect and manage almost any other gizmo you connect to it. iPad, on the other hand, cannot be connected to the iPhone with a wire, even though they both run in iOS. And Android won't recognize any camera you connect to it-at best; it'll show up as external storage. Indeed, the current lot of slates seem isolated from the rest of the technology world. Windows 8 tablets promise to change that: Connect a camera and the built-in drivers recognize it. If you have camera's custom software installed, it'll start up too. Plug in a printer into the tablet's USB port and it'll be detected, and you can start printing that important file in seconds. No, it just doesn't work that way on an Android tab-and of course, there's no USB support on the iPad. In fact, you can even manage other tablets with your Windows 8 slate. I hooked up an iPad through a cable to the Windows 8 tablet and iTunes popped up, ready to have Apple's device do my bidding. My Nexus S phone and a Nokia handset, when connected, were recognized within minutes and were ready to be managed. Supporting other device is a critical part of any computing device and Windows 8 tablets do it better than any other slate around. MS has made some changes to its user interface to support touch screens, and I'm happy to say that Windows 8 is both, fluid and beautiful. Metro-its tile-based interface already seen on Windows Phone 7.5-flows smoothly when you swipe with your finger on a full-sized tablet. And it looks great doing it. The Start screen with its collage of multi coloured tiles is astonishingly easy to get used to. iOS is often praised for how intuitive it is, and Android enjoys favour for its customizability. Well, Windows 8 is as intuitive as an iPad and as customizable as Android. Live Tiles constantly refresh to show new data, be it a post on Facebook, a message, a tweet or the latest happening in Bing News. Besides Metro apps are also customized for a tablet touchscreen. They run in full-screen mode and invite quick taps and flicks. But there is a downside: the Windows Store is spare, now. Some of the apps are quite good, but if the big names-Flipboard, Angry Birds, etc-don't release and update at the same time as iOS and Android, Windows 8 can't complete. Hopefully, developers will take to the new system and provide a wide choice of apps. Transferring files on any Windows, Linux or Mac PC is one of the simplest jobs in personal computing. But tablets have made this activity so hard, it's almost ridiculous. On an iPad, there's no USB port. And is case you happen to carry an external adapter for pen drives, transferring files (which also involves a bit of hacking) can be a tedious task. As for Android, some tablets do offer a USB port; but you need a file-manager app to use it properly. And even then, it's tough figuring out the new file system. 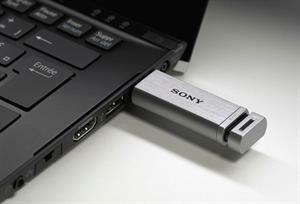 But with Windows8, it's simple: Connect your USB drive to the tablet. Tap the pop-up notification to open the drive in the familiar Windows desktop environment. Everyone knows how to copy stuff from Drive C to Drive D-just do it like you always did. Whether it's switching between apps or using two of them simultaneously, multi-tasking is important. And Microsoft has cracked the issue with an approach that is far superior to both iOS and Android. When in a full-screen Metro app, you can simply swipe in from the left of the screen bring in any other open app. This puts the original app in a 'suspended' state of action to save battery. Swiping again brings back that original app, and it resumes exactly where you left it. Besides, Windows 8 users screen space smartly by docking apps. For example, you don't need the full screen to read an article. But if you'd like to talk about it with a friend on IM, you can start the Messaging app and 'dock' it to the side of ypur Internet Explorer. Just like that, you can have two apps running at the same time, letting you multi-task without leaving either one. It's a feature that's available on Android through third-party apps but doesn't work as smoothly, and it's entirely missing on iOS. In this article, I will explain the features, specifications, price and availability of ZTE Grand X Quad V987. Read this article and know the pros and cons of ZTE Grand X Quad V987 and its comparison with Micromax Canvas A116 HD. A useful blog for all the Windows Tablet awaiting potential buyers.